Location: Carlat, in the Cantal departement of France (Auvergne Region). Ownership / Access: Garneau Family. 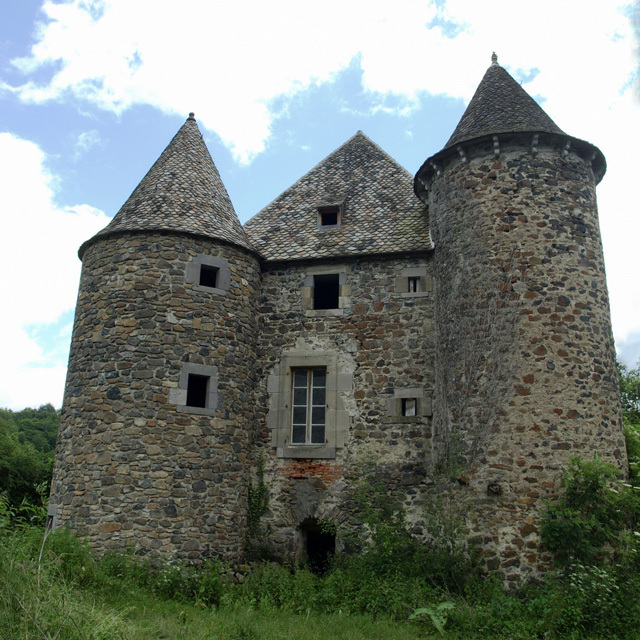 Notes: Château de Celles is a manor in the town of Carlat Cantal. Logis pavilion roof with two towers with conical roof; dovecote set on the top floor of the tower stairs; Shale leuzes covers. A Worker belonged successively to the families of Boisset La Salle, in 1789 Cassagnes-Miramont. Logis datable from the first half of the seventeenth century, described in 1668 as a house with two towers, which is the current home, and sold as national property in 1794; the barn barn-door 1682 dates on the door of the barn and 1779 on the barn door.